The high octane roar of a Formula 1 car screaming around the track at speeds over 200 miles per hour sends your blood rushing through your veins like a raging torrent. The sheer power of these machines leaves you in an awesome stupor as they whizz past at neck breaking speeds one by one. A tremendous applause erupted erupted from the crowd each time home grown star Lewis Hamilton shot by in his multi-million pound Mercedes. Many local attendees were there to cheer him on his route to win a fourth world championship, which would make him Britain's greatest ever F1 driver. 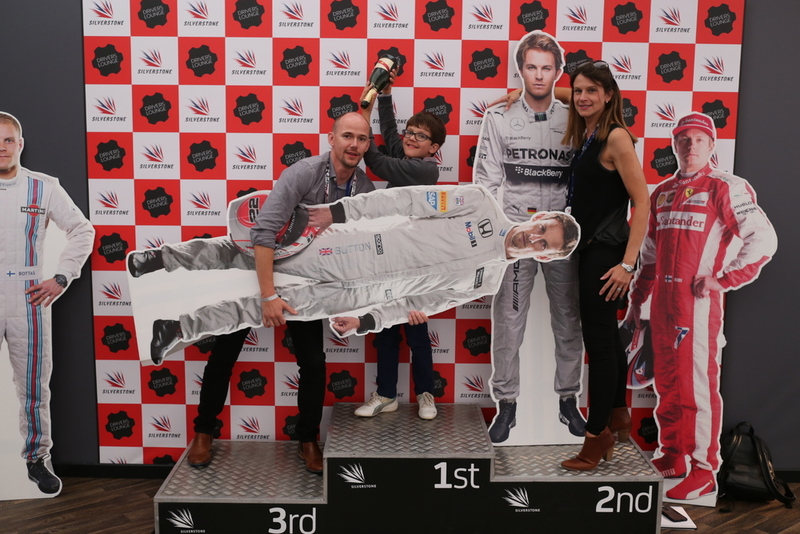 All the off-track 2016 Silverstone British Grand Prix action was happening in the exclusive Drivers' Lounge at the Lakeside marquee put together by event management company TBA. Table loads of complimentary food and booze fuelled the excitable punters for another epic race. On the qualifying Saturday, guests had a front row seat to a heart stopping wall collision by Marcus Ericsson. The news report stated that his knee hit the emergency steering wheel release button. That's probably not the right button to be pressing when taking a corner at 100 miles per hour. Back in the Drivers' Lounge, famous faces were making appearances amongst the guests. Warwick Davis had come down with his family to catch a glimpse of the action. 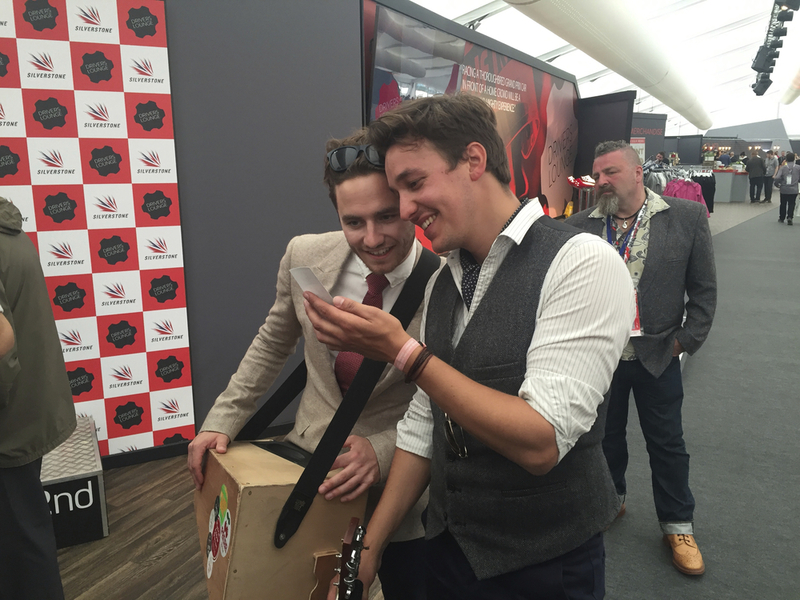 The iconic British actor was posing for photos in the Lounge throughout the day with excited fans. There were also a few characters from Geordie Shore roaming around and of course the emperor of the Grand Prix, Bernie Ecclestone was spotted having a cheeky cocktail. 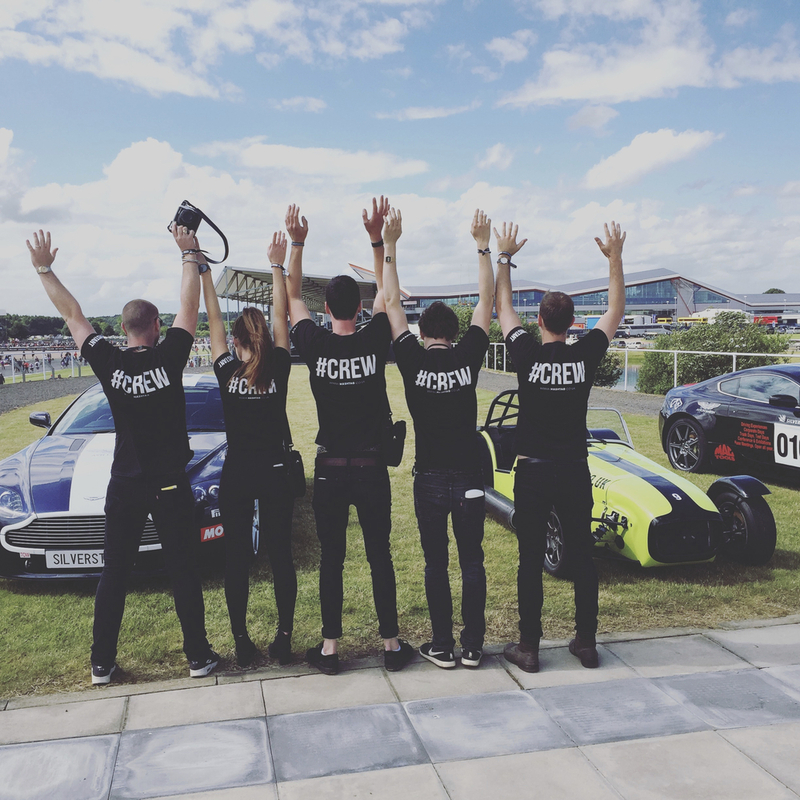 There was a range of entertainment throughout the weekend including a LIVE DJ, bands, magicians, VR simulator racing and photographic experiences. The F1 simulator invited guests to sit behind the wheel of a real F1 car, wearing a VR headset. Guests then tested their skills on the Silverstone F1 circuit in as close to the real thing as you can get. The hard fought fastest lap time from the Drivers' Lounge of 1:38 wasn't enough to compete with Nico Rosberg's race day best of 1:35. We were there to capture all of the action through photographs. Our team handed out 1,200 #INSTANT branded polaroids and 1,000 photo booth prints throughout the weekend. Not even the scattered patches of rain got in the way of jovial guests jumping in front of the cameras to throw some shapes. The race ended with a huge cheer as Lewis Hamilton finished a comfortable first with Max Verstappen in second and team mate Nico Rosberg in third. This win builds more excitement for the 2016 season as Hamilton draws to within one point of Rosberg. British fans later had more to be proud of as Andy Murray takes away his second Wimbledon cup championship in three sets. 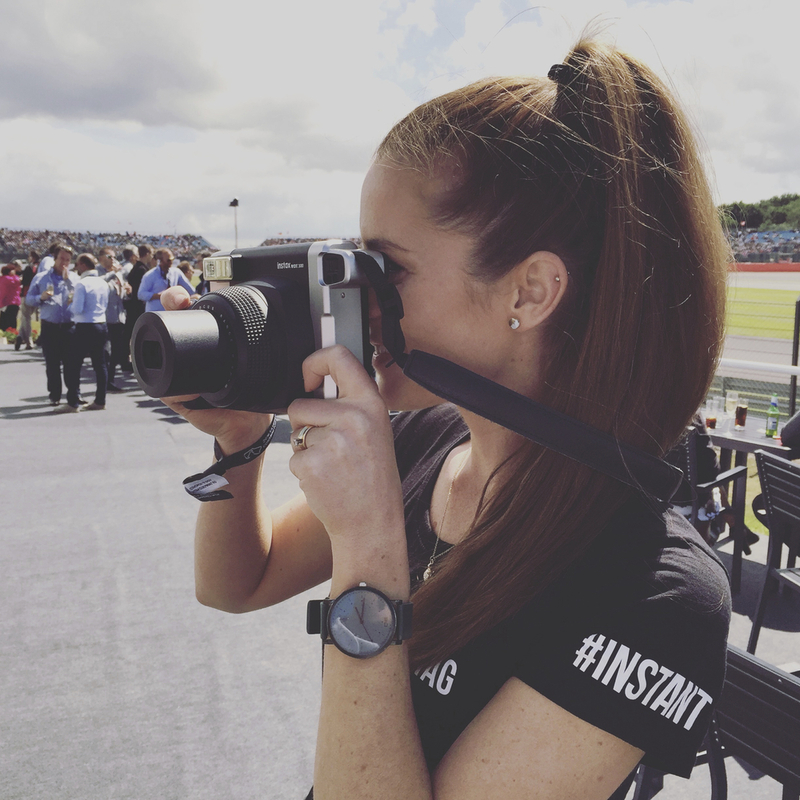 What was your favourite moment from this years British F1 Silverstone?